Second Smartwatch Supports Fitbit Pay, but Payments Service Remains Fragmented | NFC Times – Near Field Communication and all contactless technology. Fitbit has launched its second smartwatch supporting its NFC-based Fitbit Pay service, but not all versions of the watch carry an NFC chip. And while Fitbit Pay added JPMorgan Chase as a major participating bank in the U.S., joining some other large issuers, the issuer list for Fitbit Pay in the U.S. and globally remains fragmented. Around 25 of the global issuers supporting Fitbit Pay are small banks and credit unions in the U.S. These are among more than 60 banks in 15 countries participating in the payments service. 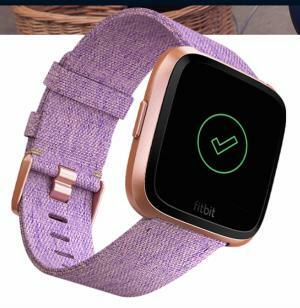 Fitbit, which has fallen behind Apple in wearables shipments because of the latter’s Apple Watch Series 3, is transforming its product mix from fitness bands and other fitness trackers to more smartwatches. Last October, it launched its first smartwatch, the high-end Fitbit Ionic–the first to support Fitbit Pay­ and the Fitbit OS. Article has about 940 words.